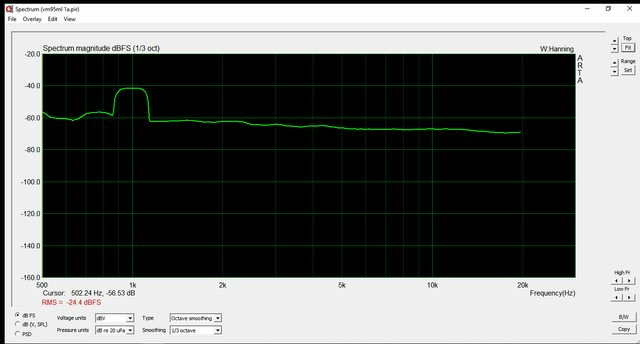 I did some rudimentary measurements today on the VM95ML using a cheapo RCA to 1/8'' cable from the rec outs of my integrated amp. Feel free to take this with a grain of salt. 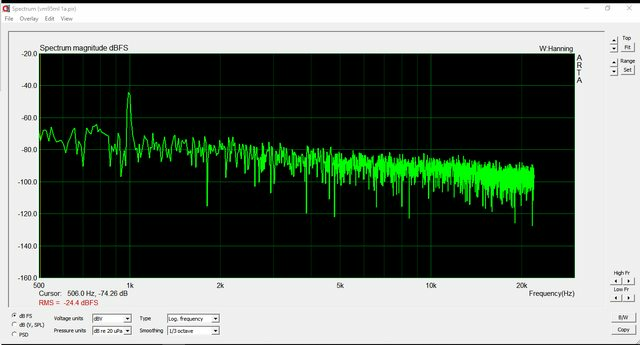 RE: tonearm compatibility, I'm getting 9hz for the resonant frequency when looking at frequency sweeps and tracking tests from the CBS STR100. That is for both vertical and lateral tracking BTW. My tonearm is 21g EM with the stock headshell and around 23g with the AT aftermarket one. So in case anyone is wondering about tonearm compatibility/compliance matching for arms in the range, I don't think there is anything to worry about. Nice to know there is a mid-compliance option that AT has for those with heavier arms. Most of the their cartridges are higher-compliance and best suited to lighter arms. Here are my rudimentary FR measurements for the VM95ML. These were taken off the 1A sweep track on the CBS STR100 test LP. My equipment for recording the audio is limited so please take these measurements with a grain of salt. 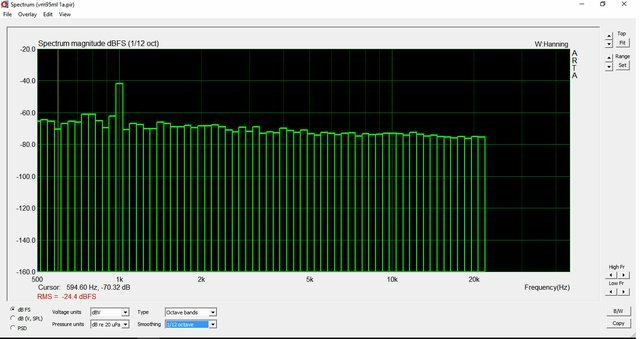 The bump at 1K is a guide tone on the test LP, you can ignore it. Luca, I'm in a similar situation with my 440mla, but I shall probably go to the VM740ML. Luca, good point. The specifications are identical in all but body material and weight 6.4g or 8.0g. The AT440mla is also 6.5g. My arm, an Audiomods Classic was I understand, developed and tested with the Goldring 1042 (amongst others) weight of circa 6.3g. When I used it with the lighter Ortofon VMS30 MkII I had to add 1.5g shims for optimum performance. Bearing this in mind it might be that the lighter body will give better performance. However the Audiomods is used successfully with heavier cartridges, albeit different compliance. It's all a matter of experimentation.